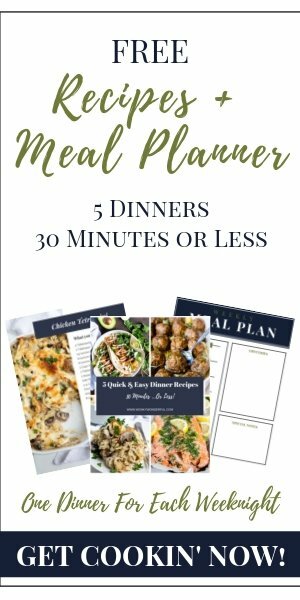 This recipe is part of a brand ambassador partnership with Cole & Mason. Just in time for the cold and flu season. 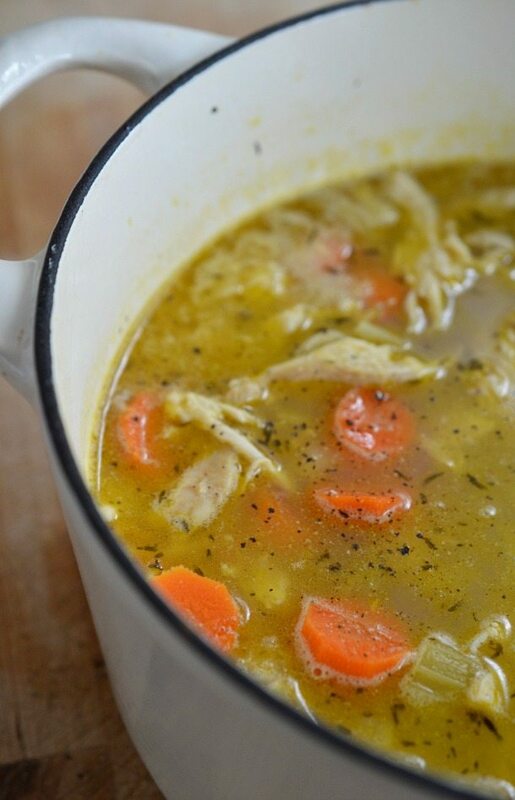 This Easy Chicken Soup Recipe is bursting with flavor! Meyer lemons and fresh cracked pepper give this healthy chicken noodle soup a unique twist. 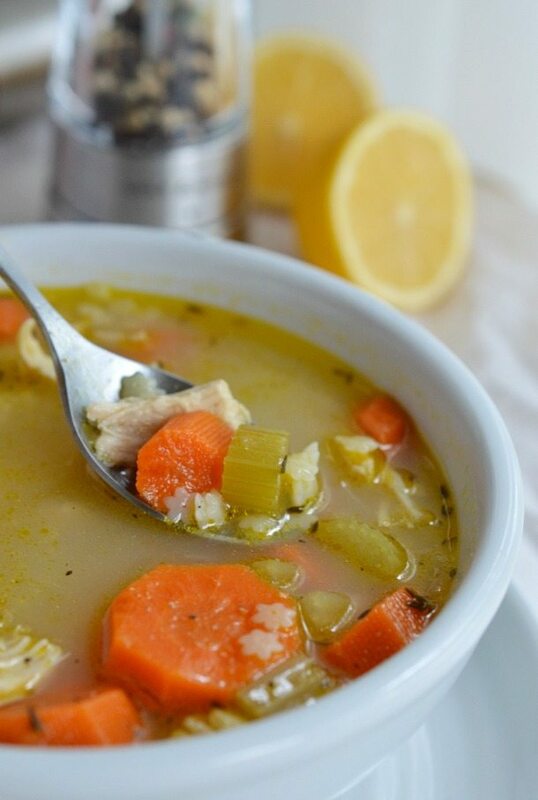 You will be energized after one bite of this Meyer Lemon and Pepper Chicken Soup! 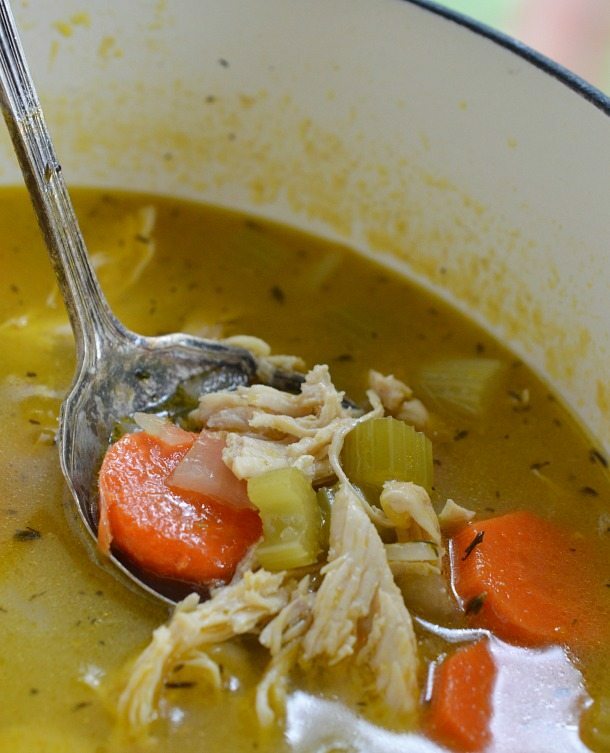 I love a comforting bowl of chicken noodle soup on a chilly winter day. Especially if I’m feeling under the weather. 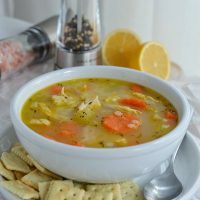 This Lemon Pepper Chicken Soup is bright and peppy. It will wake up your taste buds, that’s for sure. I used Meyer Lemons for a mild citrus flavor and Fresh Cracked Pepper for some heat. 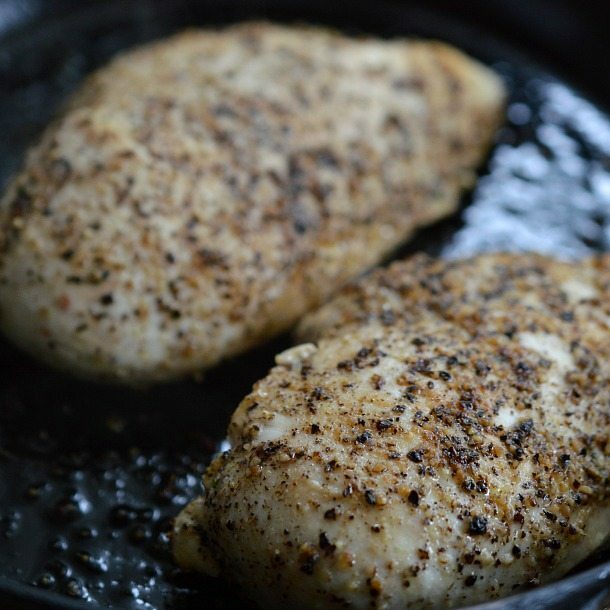 Begin this Easy Chicken Soup Recipe with pepper crusted chicken breast. 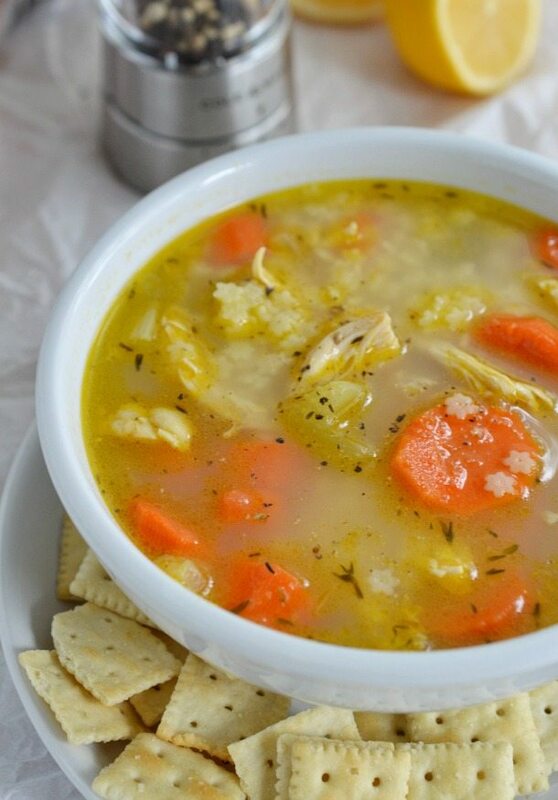 Add the fresh citrus and the usual chicken soup ingredients. That’s it. Heat until the carrots are cooked through then enjoy a bowl full! Seriously. This is a bowl of pure sunshine on a dreary winter day. Use whatever pasta you prefer. I cook my pasta separately so the leftovers don’t turn into a soggy mess. Pat dry chicken breast with paper towel. Coat with a generous layer of fresh cracked pepper. Fully cook chicken breast then set aside. Over medium heat in 3.5 quart pot; saute carrots, celery and onions in 2 tablespoons olive oil for about 5 minutes. Lightly boil for 20-25 minutes or until carrots are cooked through. Shred chicken breast and add to soup pot. Add 1 teaspoon fresh cracked pepper and salt to taste. What a delicious soup and I bet it’s extra tasty with lemon pepper in it. Love that pepper mill! I actually just saw it reviewed on ATK the other day! And this soup looks fabulous! So comforting. Just bought my first batch of meyer lemons for the season, I think I know what I need to make! Could you do this in a crockpot instead? Would it end up tasting the same? Yes. I’m sure this will be great as a crockpot meal! I have 5 Meyer lemons, woot, and I’m glad to see that you cook the pasta separately to avoid that stew like soup. It’s what I do with any starch to be served with soup. I can’t get Meyer lemons…how much zest & juice should I use with regular lemons? You should be able to sub in regular lemons. Meyer lemons are a bit milder, so you can decrease the juice/zest a little bit if you prefer. Enjoy! This will easily serve 6. The 3.5 quart pot will be about half full with soup. Enjoy! Do you have calorie count and other nutrition facts for this recipe? I made tonight. I used too much zest so very bitter. Put some bar b que hot sauce in it and it was pretty good. Almost a chinese hot and sour soup.